Feel like you are on top of the world! Bookings 48 hrs prior are essential. The offer may only be redeemed at off-peak times. The offered times are subject to seasonal changes and are advised at the time of booking. Bookings of this offer are subject to availability. Please note that due to high demand availability is limited over the Christmas & New Year period.
. After pre-booking, you will receive a voucher once your booking is confirmed. Please present your voucher and your valid Dubai Pass to the staff at the ticket counter on the day of your visit. If no voucher and pass is provided then you will not be allowed to enter. Strictly no amendment once the booking is confirmed. The offer may only be redeemed at off-peak times. The offered times are subject to seasonal changes and are advised at the time of booking. Please note that due to high demand availability is limited over the Christmas & New Year period. Phone +971 4 227 9910. Bookings essential 48 hours prior, see website below for full details. Soaring high at 456 metres, At the Top, Burj Khalifa, At The Top observation is fittingly Dubai’s most iconic destination. 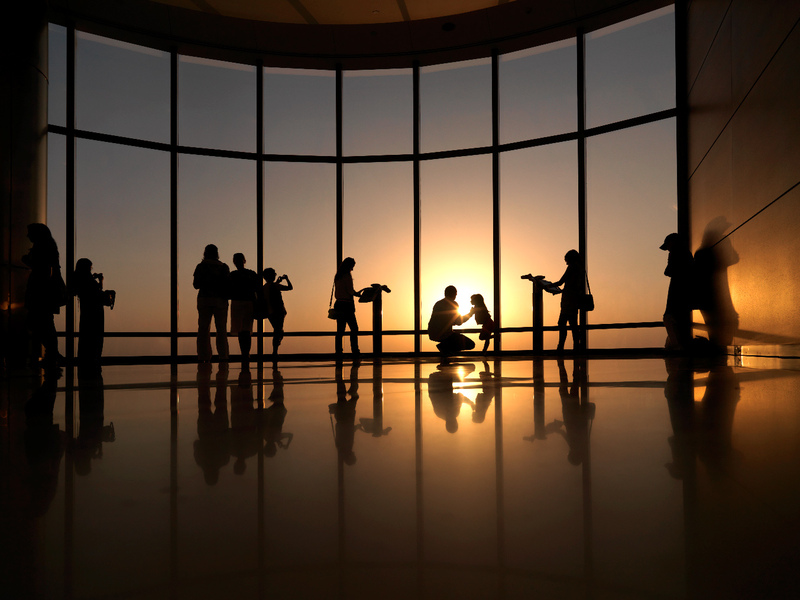 Your journey begins when you step into the At the Top, Burj Khalifa lounge, from where you will be personally escorted to a dedicated elevator. Inside, watch in amazement as specially designed projections give you the feeling of flying over global landmarks as you ascend to Level 125. You can’t leave Dubai without experiencing the world’s tallest skyscraper, Burj Khalifa. This monstrous building, that towers over the city of Dubai is 828 meters tall and has 160 floors. The specially designed elevators will take you to the Observation Deck on the 125th floor where you can enjoy the unforgettable experience and spectacular views of Dubai. Advanced telescopes offer panoramic views during the day and night. There is a new spiral flight which connects level 124 and 125. It has 36 steps, is 100 metres in length, has a crystal LED chandelier and provides amazing views of the city. At the Top also offers shopping for that special souvenir.